This piece debuted in July of 2017, the same month that a Delaware-sized iceberg split from Antarctica. It is widely accepted within the scientific community that human activity has greatly contributed to climate change and the corresponding accelerated rate at which glaciers are receding. Glaciers Will Not Be There was shown in conjunction with Water Will Not Be Here for the first time at The Cultvist's annual Gala. Conceived of in 2014, Glaciers Will Not Be There took over three years to realize. In 2015 the artist took part in the Arctic Circle residency program, which is designed for artists wanting to do work in the far north. This piece is very simple: viewers pass by the piece and glaciers collapse, whether they realize their actions caused it or not. 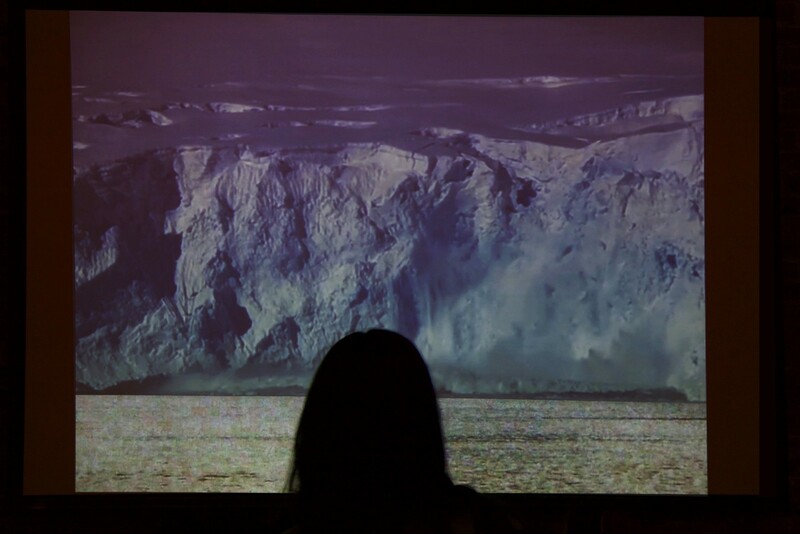 The footage is a combination of found video from YouTube and footage the artist acquired in the Arctic. Interestingly it turned out that finding video footage online is relatively easy, however finding clean audio of glaciers coming apart is virtually impossible. Fortunately, artist Ayo Yunyu Shih was intent on recording sounds from the Arctic and lent his work to this project. 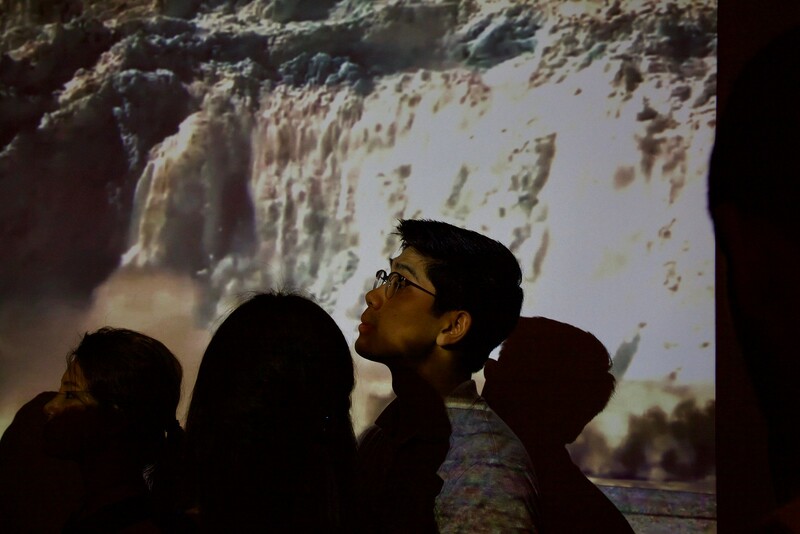 In 2018, Glaciers Will Not Be There was shown twice in Manhattan— at The Cultivist's annual gala and at a show put on by the Human Impacts Institute. The latter was shown at the Taipei Economic and Cultural Office's New York office (TECO), which is home to Taiwanese ambassador to the United States. It was the first art installation to be shown in the office's windows in its 40 year history. Glaciers Will Not Be There is a fiscally sponsored project of the New York Foundation for the Arts. It is created by developing custom software written by the artist in OpenFrameworks.